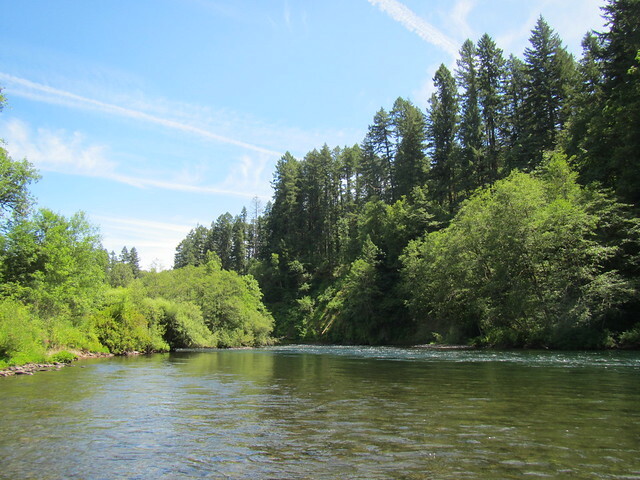 Let’s be honest 90+ degree temperatures are less than ideal for trout fishing in the Willamette Valley. We just don’t see this kind of heat this early in the year very often. Combine the heat with a lack of snow melt and we will be begging for rain before you know it. 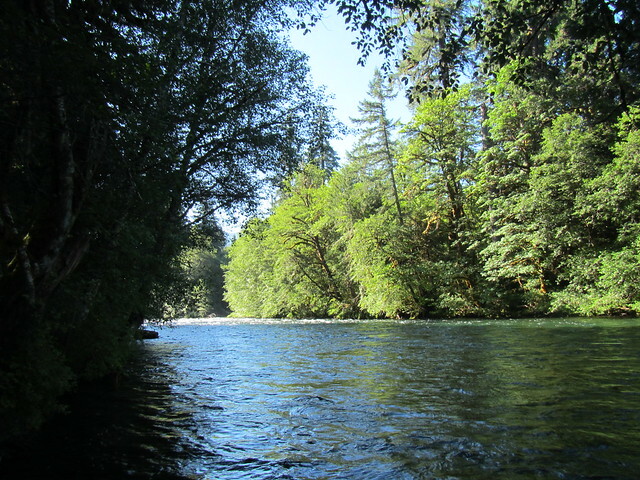 The main-stem McKenzie and Middle fork of the Willamette are fishing fair in the morning and evening as you would expect. Between 2pm and 6pm things get a little rough. Pale Morning Duns, smaller caddis and Parachute Adams are taking fish reasonably well but overall there is a real lack of insects out on the river lately. Here are two strategies in response to the “lack of hatch” I have been employing lately that have been fairly effective. First, simply tie on your favorite attractor pattern, could be wulff or a stimulator. Make it something mid-sized a #12-16 a dry fly you really have confidence in. Some of my favorites are, Ramsey’s Goofball, Hippy Stomper, Half-Down Golden, Purple Parachute Adams or Lady-Di. Fish these dries in riffled water, “bubbly” rocky pockets and shady edges. The second strategy is to scale down you “hopper dropper” or nymph rig with smaller more slender patterns. Instead of a fat Possie Bugger in a size 10 go with a Copper John in a 16 even a Jigged Copper John (new and killer). If you fish two flies off an indicator make sure one of them is much lighter and slighter in profile. The insects that are out are smaller, and the water being on the low and clear side has me shrinking tippets as well. It’ time to fish 5x and 6x tippets. Lighter tippets will help with presentation and you will catch more fish! Good luck out there, enjoy the wet wading!